A good compost tumbler is necessary if you want to harvest nutrient-rich compost in the shortest time possible. A compost tumbler can produce compost in just a few weeks as compared to ordinary compost bins. One of the main factors in speeding up the composting process is aeration. Normally, aeration is done using a pitchfork to stir the compost material, but with a compost tumbler you only need to turn the composter to promote better airflow to produce a nutrient-rich compost. As good as this sounds, compost tumblers can be quite expensive. However, you can start a compost tumbler for fraction of the cost by making your own tumbler. It may not appear as attractive as compost tumblers you can buy, but it can deliver the same results. You can build your own compost tumbler by following the procedures below. The most important item that you need is a durable 50-gallon barrel that will work as your tumbler. A plastic barrel is much preferred over metal tumblers because plastic is lighter and is easier to rotate than metal. If you don’t already have a barrel, you can find one at feed stores, city water plants, or restaurants. The barrel’s color is essential as it plays a part in the absorption of heat. Select a dark colored barrel, or, even better, choose a black barrel for ultimate heat absorption. 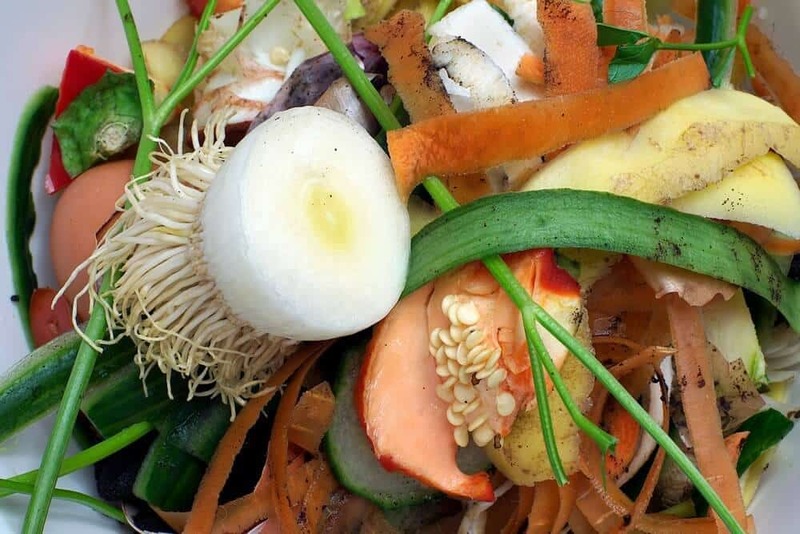 High temperatures can hasten the composting process. If you can’t get a black one or if you already own a lighter colored barrel, you can paint it black. You will also need a PVC or galvanized steel pipe for the axle and a metal sheet to act as a fin to mix the compost when you rotate the bin. For the stand, you will need some lumber. You’ll also need tools including a drill, jigsaw, saw, hinges, and latches. Drill holes in the top and bottom of the 50-gallon drum. You will insert the pipe through these holes. The diameter of the hole must be slightly larger than the diameter of the PVC pipe. For better accuracy, you can trace the PVC pipe onto the top and bottom of the barrel. After tracing the diameter, you can drill the holes and pass the pipe through the barrel to be sure it fits. Holes in the sides of the barrel will serve as vent holes so air can flow freely inside the barrel for faster composting process. Drill up to 20 evenly spaced holes on the body of the barrel. You can also position the holes in a column or pattern to add a design to the composter. The size of the holes depend upon your preference, but they must not be so large that food remnants or compost can leak from the barrel. The size of the door must be large enough for your shovel to fit inside so you can easily load and unload the compost. Lay the barrel on its side, and cut a door between the holes at both ends. It is best to first draw the door before you begin cutting. The cutting process will be easier if you drill holes in each corner of the traced lines of the door then use a jigsaw to finish removing the door panel. Once done, you can install the door by attaching two hinges and two latches on opposite sides of the door. This will hold the door securely in place when you turn the tumbler. If you’d like, you can also add a handle to the door on the side with the latches to make it easier to open and close the door. The metal sheet will aid in mixing the compost pile while the barrel rotates. It must be placed on the wall opposite the hatch. This maintains the barrel’s balance when empty. Shape the metal sheet into an L and bolt it inside the wall of the tumbler opposite the door. To fit the pipe inside the barrel, insert the pipe through the top and bottom holes. The pipe must be long enough to extend from the barrel and rest on the wood base support. If you use a plastic barrel, there is a chance that the weight of compost pile may break open the end of the barrel, particularly if the barrel is full. To avoid this problem, you can attach a piece of wood to both ends of the barrel to provide extra support. The size of the wood will depend on the diameter of the barrel but should properly support each end. You can attach the wood to the barrel with screws. To make a stand, cut two pieces of wood. Lay one piece on top of the other in the shape of an X. Hammer two nails at the center of the two intersecting wood pieces to secure the wood together. Make two of these, one for each end of the barrel. Connect the base of the two Xs with a strip of wood as long as the barrel. When you place the tumbler in the stand, make sure that the ends of the pipe rest securely on each X. Now that your tumbler is setup in the stand, you can start loading it with composting materials like food scraps and garden waste. When you rotate it, you can use the extended PVC pipe at both ends or turn it by using the post to ease the rotation process. You can also spin the barrel by hand. Simply grip the sides of the barrel and rotate it. 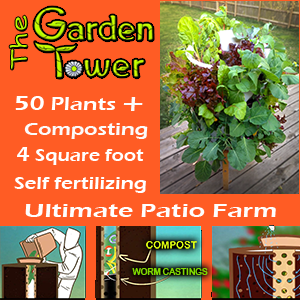 Do this every day and you will be able to harvest your first nutrient-rich compost in a matter of weeks.